The memorial to William is in the form of the bronze plaque that was issued to the next of kin of those that fell in the Great War, and is mounted (top right) on his wife’s headstone in the churchyard. William was born in 1882. His father was called George William Longhurst. 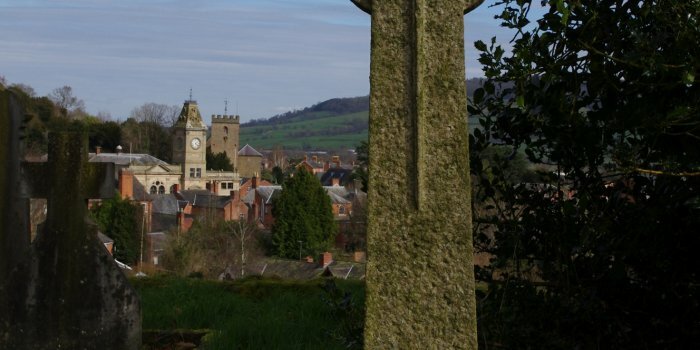 It is not clear from the census records where William was born or resided in his early years but it would seem from his military records that he was born in Llanymynech. 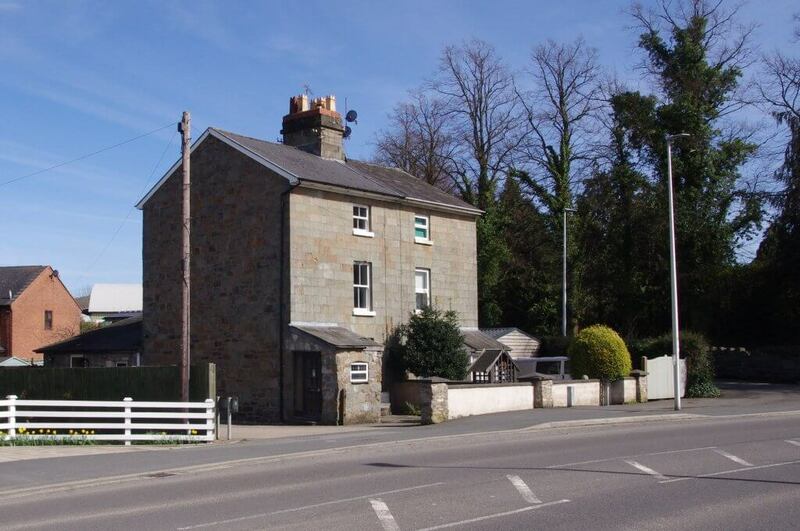 There is a possibility that he worked as a Domestic Groom in Llansaintfraidd-ym-Mechain when he was a young man of 18. 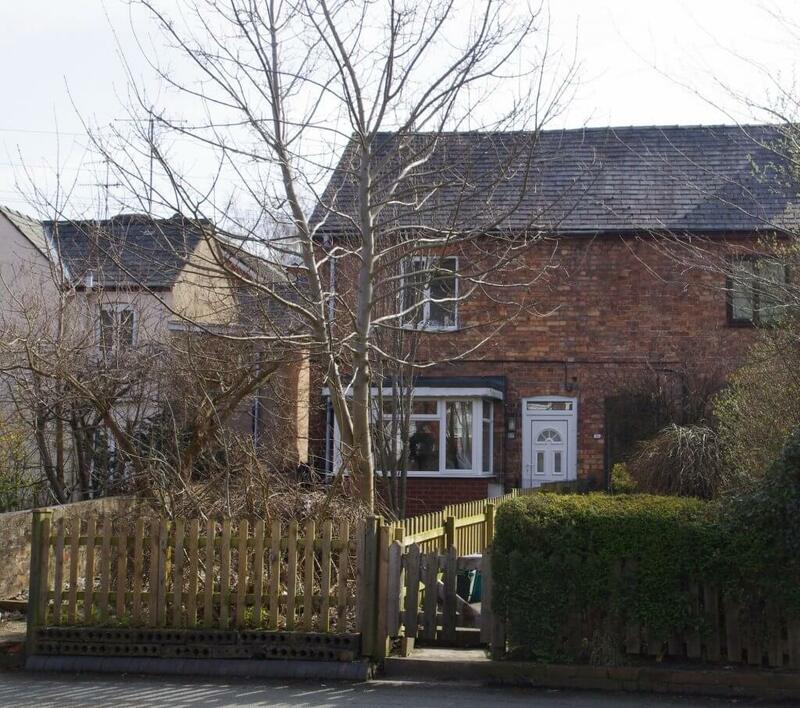 The 1911 census lists a George William Longhurst boarding at 10 Lledan Terrace, Brook Street, Welshpool. 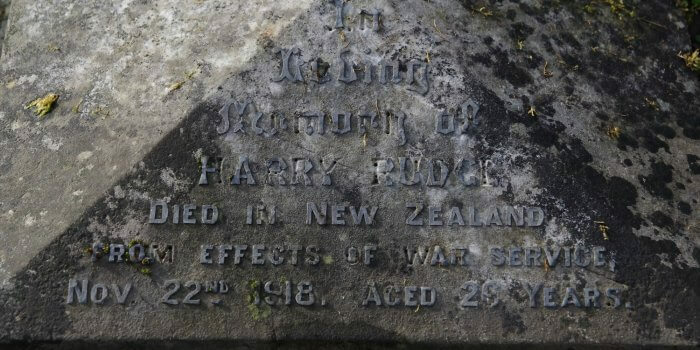 He was 28, single and working as a Grocer (and it was noted that he was in possession of a dray – a cart without sides used for delivering heavy loads). It could have been around this time that William enlisted with the Montgomeryshire Yeomanry, the local militia. Just after war broke out, in September 1914, the Royal Welsh Fusiliers were raised and they joined the Division at Llandudno. William could well have been among them as he was drafted into the 13th Battalion, Royal Welsh Fusililers. 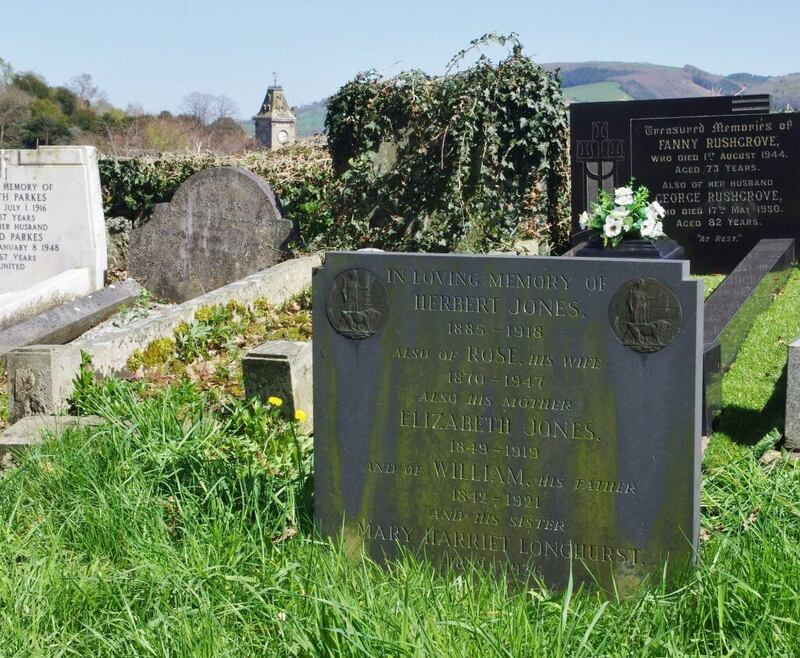 Just before the Battalion moved to Winchester for their final training, William married Mary Harriet Jones on 9th July 1915 at St. Mary’s Parish Church, Welshpool. The marriage record lists William as living at Greenwood Villa, Mill Lane and his profession was a ‘soldier’. 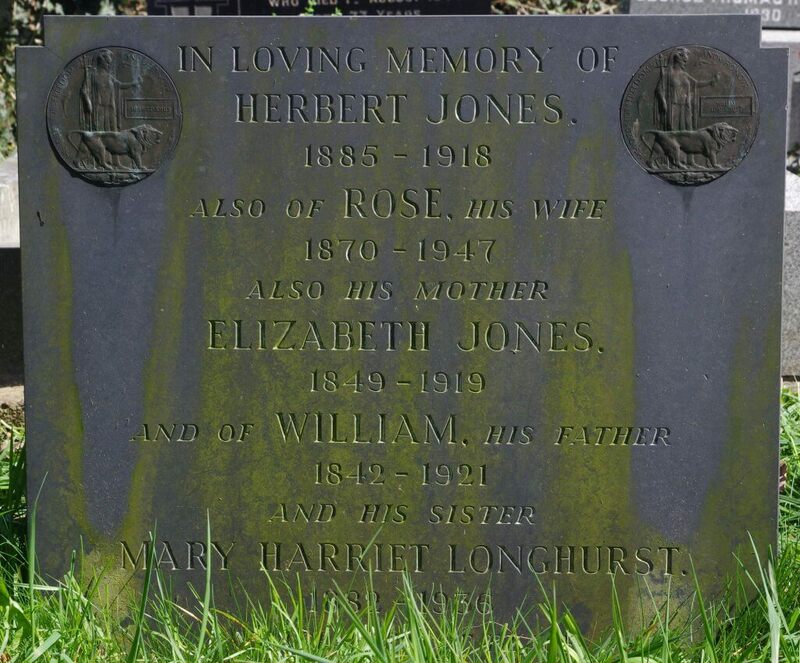 Mary was a sister to Herbert Jones who also died in the First World War a short time after William’s death and is remembered in the ‘Remembering the Fallen of the Great War at Christ Church’ exhibition. The 13th Battalion of the Royal Welsh Fusiliers were posted to France in December 1915. In July 1916, as part of the 38th Division they saw action at Mametz Wood on the Somme, and suffered heavy losses. In 1917 they saw action again in the Third Battles of Ypres. In 1918 they returned to the Somme and fought in the Battles of the Hindenburg Line. William was killed in action on 22nd April 1918 near the village of Bouzincourt on the Somme. The area had been in German occupation until March 1918. In September 1918, the first area of the Bouzincourt Ridge Cemetery was formed by the V. Corps Burial Officer who cleared the battlefields. After the Armistice 500 graves were brought in from the immediate area. This was part of the ‘concentration of graves’, which exhumed those in smaller or isolated cemeteries and reburied them in an established military cemetery to ensure proper commemoration by the Commonwealth War Graves Commission. William’s body was exhumed and reburied in the Bouzincourt Ridge Cemetery in April 1920 . William is commemorated on Welshpool’s war memorial. 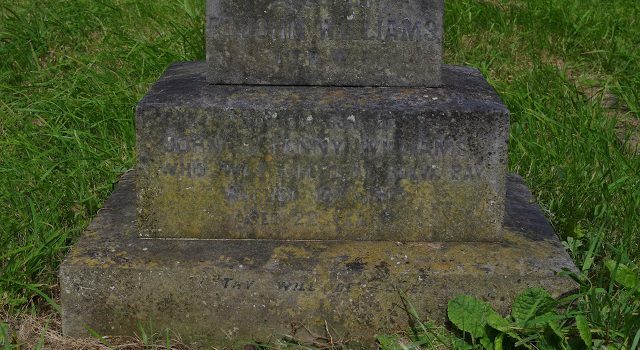 William’s ‘Death Penny’, the bronze plaque issued to the next of kin of all those who fell in the Great War, is mounted on Mary’s headstone. She died in 1936 and is buried with her parents and other family members. 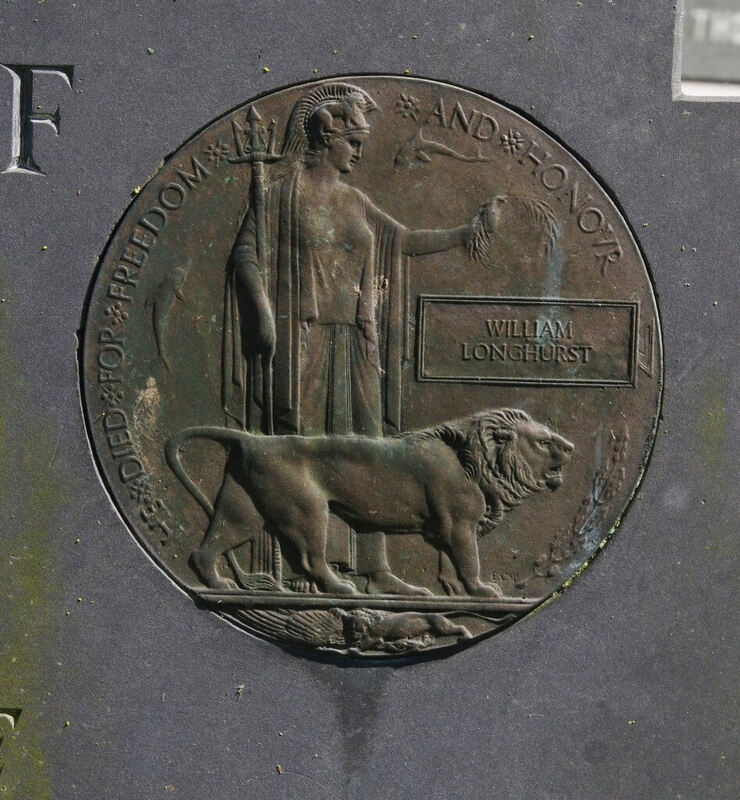 The headstone includes a memorial to her brother Herbert who also fell in the Great War a short time after William. His Death Penny is also mounted on the headstone. A detailed account of William’s story is on display as part of the ‘Remembering the Fallen of the Great War at Christ Church’ exhibition. Previously published stories of the WW1 memorials here at Christ Church can be seen here.